Committed access rate (CAR) is a traffic policy classification and marking method used to police IS on IS precedence, DSCS value, MAC addresses, or access lists. Traffic policy clas sif ication involves defining a traffic policy and using CAR to enforce rate limits. Tr; conforms to the configured rate limit can be forwarded as is, or it can be marked to provide QoS at points all the way through the network. Marking changes the value of the IS precedence or DSCS in the ToS byte from the IS header. The t marking action is defined eityer when a packet conforms to a value or when a packet exceeds a va marking traffic, CAR affects how traffic is treated at points later in the network because WFQ and V the CAR-as signed ToS values, giving higher-priority traffic a better weight. • Normal rate— tike the CIR in traffic shaping, the normal rate in CAR can be described as the rate of traffic, or th e average rate rlaat tokens aae added to the b ucket. • Normal burst— tike the sustained bit rate (Bc) in traffic shaping, the normal burst is the am allowed to ex ceed t he normal tra ffic rate during an interv al of time. When determining which shaping or policing method you should deploy on your network, alwa follow one rule of thumb: Traffic shapers shape traffic using buffers, so shaping should always on an egress interface where excess traffic can be buffered. Traffic policing or CAR is more effe when applied to inbound traffic because policing and rate limiting do not buffer traffic. S pecifies the traffi c direction. The average traffic ra te, under normal circumstan ces, for a period bits/second eanging from 8000 to 2,000,000,e00. Specifies either a standard or extended access list, ranging from 1 a rate list. Rate lists 0-99 are used to specify IP precedence values, and rate 100-199 are used to specify MAC addresses. Specifies a DSCP value ranging from 0 to 63. Specifies a QoS group ranging from 0 to 99. Any packets conforming to the normal rate will do the activity spec n ext va lue. Co ntinues proc essing torough the rest o! the lis t.
Im mediately drops the packet and exits the list. Sets the DSCP value to the specified value, ranging from 0 to 63, a cont inues proce ssing ohe rest of the list. Sets the DSCP value, ranging from 0 and 63, transmits the packet the list without further processing. Sd!s th e MPLS exp^^enta! va lue, ranging from 0 no 7, aud contin processing the rest of1 hhe Ms!. Sets the MPLS experimental value, ranging from 0 to 7, immediate the packet, and exits the list without any further processing. Sets the IP precedence value, ranging from 0 to 7, and continues p rest of the list. Sets the IP precedence value, ranging from 0 to 7, transmits the p exits the list without further processing. Sets the QoS group number, ranging from 0 to 99, for the packet a continues processing the rest of the list. 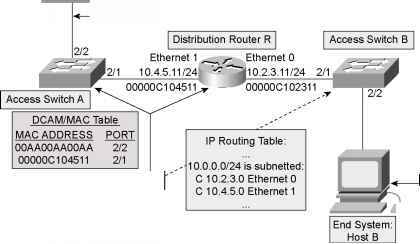 Sets the QoS group number for the packet, ranging from 0 to 99, t packet, and exits the list without further processing. Transmits the packet and stops evaluating the list. Specifies the action to take if the normal rate has been exceeded. The action to take upon an exceeded action. Continues processing through the rest of the list. Immediately drops the packet and exits the list. Sets the DSCP value to the specified value, ranging from 0 to 63, a continues processing the rest of the list. Sets the MPfS experimental value, ranging from 0 to 7, and contii processing the rest of the list. Sets the MPfS experimental value, ranging from 0 to 7, immediate the packet, and exits the list without any further processing. Sets the IP precede nce valusr ranging fni>m y to 7, and continues p the rost of the list. Seta the I y pre cedence vsIs—, rahping from 0 to 7, transmits the p exits the list without further processing. Sets the QoS group number for the packet, ranging from 0 to 99, a continu as pnocessiag the rest oh the l pst. InExample 6-22, th e rate-limit command is used with access list 101 to ^irT— rIt ircomm g tra—fi c for h 195.42.48,155 to 2 Mbps with a 375,a00-bete oormal burst a ltd )R0,000-byte excess burst. Any tr conformi nq to the cormal toa ffic rate wiH have iss IP prece dence valus s et -o Flash -override (4) anc kransmitted immediately, Praffic exceedlnq the normal busst rate will be continue to be p^tcessed. Next, CAR is ds—d to polire and morlr traffin. First, this -ate-limit command is used with access list all passive FTP traffic to host 195.42.48.7 to 4 Mbps. Then, it is also used to set the normal burst r bytes and the extended burst rate to 1,500,000 bytes. Any traffic that conforms to the rate limits s transmitted, and the router should continue on with CAR list processing. Any FTP traffic that exceed will be dropped.